PT Bank Central Asia Tbk - BCA or referred to as "Bank BCA" is a reputable and trusted privately-owned commercial banks in Indonesia. The Company started its operations in 1955 in Semarang, as NV Perseroan Dagang Dan Industrie Semarang Knitting Factory. Later in 1957 the Company relocated its head office to Jakarta and changed its name to PT Bank Central Asia in 1975. In 2000, the Company conducted its initial public offering (IPO) on the Indonesia Stock Exchange (IDX) and its shares are traded under stock code BBCA. As of December 2016, the Company is 47.15% owned by PT Dwimuria Investama Andalan and 52.85% by public, Bank BCA now has 1,182 outlets and 17,081 proprietary ATMs throughout Indonesia. Bank BCA also supported by 7 key subsidiary companies; namely PT BCA Finance, BCA Finance Limited, PT Bank BCA Syariah, PT BCA Sekuritas, PT Asuransi Umum BCA, PT Central Sentosa Finance and PT Asuransi Jiwa BCA. In term of financial performance, PT Bank Central Asia Tbk managed to strengthen its financial performance in the the full year of 2016 (ended in 31 December 2016). According to PT Bank Central Asia Tbk Annual Report 2016 as cited by JobsCDC.com, the Bank posted total net profit of Rp 20,606 billion throughout 2016. This amount is an increase of 14.35% over the same period in 2015 amounted to Rp 18,019 billion. 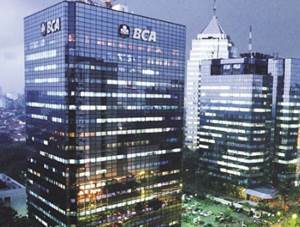 Referring to its annual report, Bank BCA controls third party funds of Rp 530.13 trillion and maintains assets worth of Rp 676.73 trillion. Male/Female, minimum Bachelor Degree (S1) in any field. Placement at Jakarta and Semarang. Test location : Jakarta and Semarang. Background in Bachelor Degree (S1) in IT, Robotic, Mechanical Engineering with minimum GPA of 3.00 (scale 4.00). Holds around 1-5 years of experience on factory that use automation system. Mastering basic electrical panel maintenance, motor engine (i.e. conveyor, ASRS). Test locations : :Jakarta, Semarang, Bandung, Yogyakarta, Surabaya. Background in Bachelor or Master Degree (S1/S2) in Law from a leading university with minimum GPA of 3.00 (scale 4.00). Holds around 1-2 years of experience in the related field. Fresh graduate are welcome to apply. Strong interest in the field of legal in banking industry. Willing to undergo a 1 year of contract period and if performing well during the contract period will be appointment as a permanent employee. Background in Bachelor Degree (S1) in Accounting with minimum GPA of 3.00 (scale 4.00). Maximum 3 years of experience in the related field. Fresh graduate are welcome to apply. Competent in the use of finance or accounting data processing computer program (i.e. Microsoft Excel - Advance, etc). Background in Bachelor Degree (S1) in Engineering with minimum GPA of 2.75 (scale 4.00). Have education background or experience in the field of computer. Discipline, honest, meticulous and have high work motivation. Test locations : Jakarta, Yogyakarta, Malang, Bandung, Surabaya, Semarang. Background in Bachelor or Master Degree (S1/S2) in Computer Science, Informatics Engineering, Information System or equivalent with minimum GPA of 3.00 (scale 4.00). Minimum 2 years of experience in the field of audit, especially IT Audit. Background in Bachelor Degree (S1) in any field with minimum GPA of 2.75 (scale 4.00). Minimum 1 year of experience in the field of Strategic Management Credit Consumer. Background in Bachelor Degree (S1) in Visual Communication Design - New Media with minimum GPA of 3.00 (scale 4.00). Mastering design software, i.e. Adobe Ilustrator, Adobe Photoshop. Strong understanding of digital communication instruments (website, blog, vlog, mobile apps, social media). Have a good knowledge of copy writing is preferred. Familiar with video editing software is preferred. Have a good knowledge and experience related to used experience is preferred. Background in Bachelor Degree (S1) in Economics with minimum GPA of 3.00 (scale 4.00). Have experience in the field of product development in insurance. Have the thoroughness, meticulous, and perseverance in working. JobsCDC.com now available on android device. Download now on Google Play here. Please be aware of recruitment fraud. The entire stage of this selection process is free of charge. PT Bank Central Asia Tbk - S1, S2 Fresh Graduate, Experienced Staff BCA May 2017 will never ask for fees or upfront payments for any purposes during the recruitment process such as transportation and accommodation.